2015-16 Rs. 2 - 5 Crore Approx. We take this opportunity to introduce ourselves as a Manufacturing, Exporting and Trading a superb quality range of Pre Engineered Structure, Tubular Structure, Structural Steel Beams, Metal Flashing, Roofing Sheets, Decking Sheet, Metal Purlin, Crash Barrier, Industrial Sheds, Sandwich Panels, etc. We also Provide Turnkey Projects, Flooring Service, Roofing Service, Erection Services, Fabrication Services, Metal Claddings Service. We are leading Contractor for Pre Engineer Building Structure, Roofing Contractor and Consultant in Western and Southern India. We have experience of dealing in roofing work for last 10 years. We have got tremendous experience and are very well aware of advantage and disadvantages of roofing work. We supply and Erect Pre-engineered steel structures. If required we can give consultancy, drawing, size, designs, advice and Precaution to be taken, type of material to be used, what precaution to be taken for problem that may arise in near future, in all respects. We are the complete consultant for roofing, making of BOQ. Inspection of steel structure in all respects etc.
" 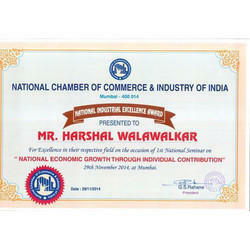 National industrial Excellence Award " from national chamber of commerce & industry of India to Mr. Harshal Walawalkar our director. 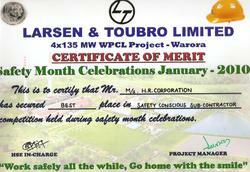 BEST SAFETY Award from Larsan and Turbo Limited on WPCL Project Warora. To attain maximum clients' satisfaction, we understand their exact requirements and offer them products accordingly. Moreover, we offer the entire range in various sizes, designs and dimensions so as to meet their diverse requirements. We have secured a remarkable position in this industry by offering our clients a quality assured range of products. Our transparent dealings, optimum quality products, easy payment modes, timely deliver and competitive prices have enabled us to obtain a huge client base across the country. Our ultra-modern infrastructure unit is equipped with contemporary machines, advanced equipment and modern tools. Facilitated by technically-advanced process, we manufacture a qualitative range of products. For smooth implementation of the manufacturing process, we regularly upgrade the installed machines and equipment. Spread over a huge area of land, our infrastructure unit has been segregated into several departments such as production, quality testing, sales & marketing, etc. 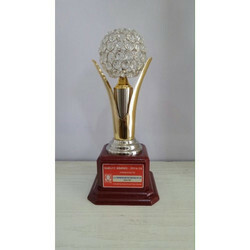 These departments are supervised by our competent professionals that hold immense experience in their respected field. 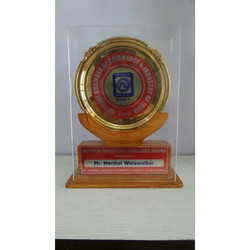 Our organization is firmly committed towards providing a qualitative range of products. By utilizing hard-earned experience of our diligent team of professionals, we are offering a distinguished range of products. We have recruited these professionals on the basis of their skills and past experience. Our sales & marketing executives ensure a safe and timely delivery at clients' destination. Apart from this, we have an experienced team of quality controllers that is highly dedicated towards its work. Backed by consistent efforts of our talented workforce, we have been able to gain immense success in this domain. We deal our own manufacturing brand: HR.